What do you seek to achieve? Better health? Deeper relaxation? Pure bliss? Or simply a cup of tea that delights your taste buds and makes you smile? This Teaquilibrium customer favorite combines antioxidant rich rooibos, refreshing peppermint and pure cacao reminiscent of a minty chocolate dessert. 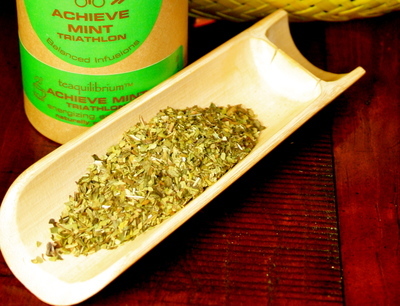 Try Achieve Mint tea after a meal– it is very satisfying to your sweet tooth without the calories. With raw cacao, one of the highest natural sources of antioxidants you can enjoy this tasty tea guilt-free! This is a delicious treat. It tastes like mint chocolate chip ice cream! YUM! The mint is the strongest flavor in this cup but it is not so strong that it infringes upon the chocolate. The two flavors seem perfectly willing to play nicely together. The chocolate is rich and gives the cup a creamy flavor that smooths out some of the crisp minty tones. 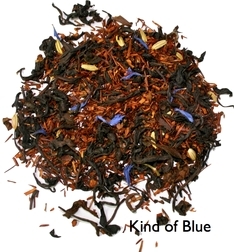 The rooibos flavor imparts very little flavor to the cup – just a hint of nutty notes here – but I’m not complaining. The overall flavor is sweet making this an ideal choice as a dessert substitution. 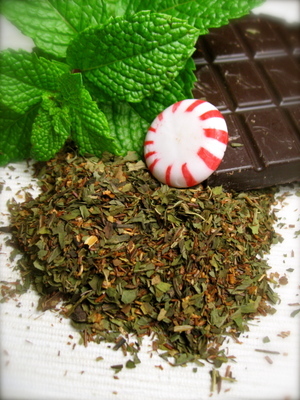 Imagine getting all the delicious flavor of a chocolate-y mint without the calories! This tea makes that possible! Bravo, Teaquilibrium! What an Achieve-Mint! Close your eyes and imagine sitting in a field of fresh strawberries– breathe in the intoxicating scent, pick a plump berry and let the flavor burst in your mouth. Teaquilibrium’s organically grown Strawberry Vanilla is delightful and gently energizing. 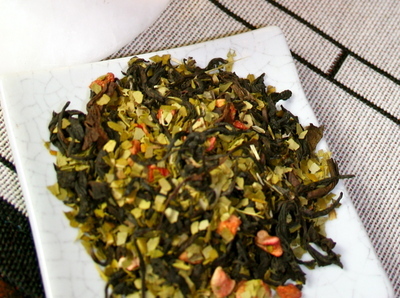 The distinct flavor of green yerba mate magically blends with the smooth toasty cocoa aroma of the oolong, organically grown strawberries and topped with a hint of vanilla. 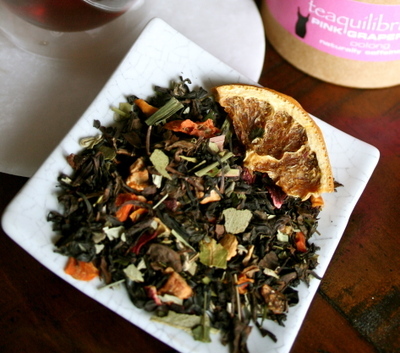 As with all of our Little Black Dress teas, Strawberry Vanilla is an exclusive Teaquilibrium blend. Try Strawberry Vanilla hot or chilled. For a delicious and refreshing pick me up, cold infuse Little Black Dress Strawberry Vanilla and serve in a pitcher with fresh strawberries. I don’t think I’ve ever encountered a blend quite like this one. Oolong and Green Yerba Maté? I certainly had my doubts going in to this but, I am glad I finally decided to try it, because it is really quite tasty! The combination of Oolong and Yerba Maté make for a truly interesting blend. The Oolong has a rich, roasted and somewhat buttery quality to it, and the Yerba Maté seems to pick up where the Oolong leaves off to create a very full-flavored experience – one that neither Oolong nor Yerba Maté could accomplish on their own. The flavors are a bit lighter than I was anticipating, although the flavors do intensify as I make my way toward the bottom of the cup. I like the way the sweet, ripe strawberry flavor sort of pops in and out of the sip, while the vanilla adds a creaminess that completes the flavor. This is a pleasantly smooth and sweet cup – but not too sweet. This is a very well-rounded cup that I really enjoyed! Bravo to Teaquilibrium for a tea well done! I am really enjoying this blend. I tasted it before I read the ingredient list, and I was happy to see that I could discern them without having read the list. 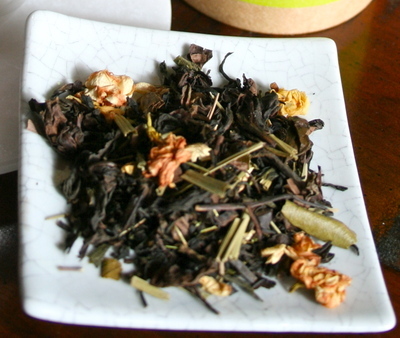 The Oolong tastes nutty and buttery and has a nice mouthfeel – rich and supple. 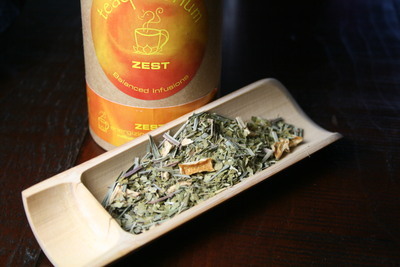 The green tea accentuates the buttery taste and lends a certain fresh taste to the cup, as does the green rooibos. The combination of the Oolong, green tea and green rooibos creates a very full flavor for the palate without being overwhelming or too heavy. I love the light yet satisfying flavor of this cup. There is a light lemony note that is accentuated with hints of bergamot, and a very light jasmine note that lingers in the background. Very refreshing!